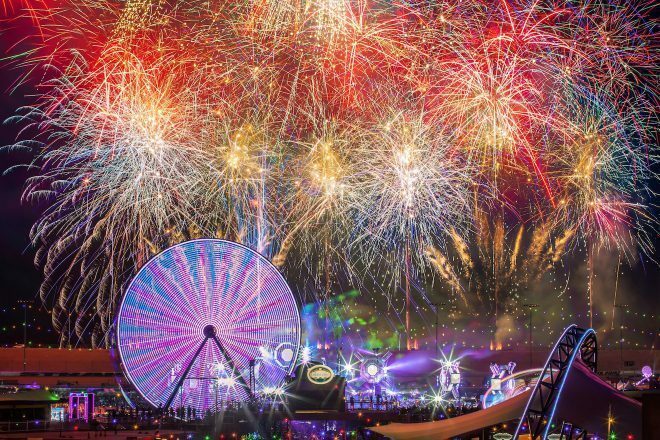 Following Insomniac CEO Pasquale Rotella's announcement in December of last year the he would be bringing Electric Daisy Carnival to China this year, today the first details have been revealed. EDC China will debut in the China as a two-day event on April 29th and 30th in Shanghai at the Shanghai International Music Park and will host stages such as kineticTEMPLE, circuitGROUNDS, bassPOD and the Boombox Art Car. Tickets go on sale February 8th on the EDC China website, we should expect more to be released very soon. China will be only the third Asian country to host EDC following Japan and India, and it’s only the second major international brand to do so in China after ULTRA. The festival, which originated in Los Angeles before moving to Las Vegas in 2011 where its flagship event is now held annually, is expected to bring with it the same vibrant art installation and carnival rides that defines its concept as it did in other Asian countries. Follow the event here for updates.